Let newestech build your custom servers and PCs. Reliable equipment from a reliable source. 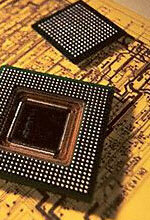 newestech can provide your firm with all your computing hardware needs. We are authorized resellers of many brand name systems and offer a complete line of products, from laptops to networking equipment. All our products come with a standard 1 year warranty, 3 year warranties available on most of our products. We can deliver your products overnight in most cases. Contact us for custom built machines to your specifications. Our technical staff is prepared to assist you in your installation and usage of products you purchase from us. We go beyond the sale and provide training and assistance to you and your staff. Contact us for information on our current line of custom computing hardware & peripherals. newestech customizes equipment to your exacting specifications and requirements. Our products have great warranties, and we provide on-site replacement during your warranty period.